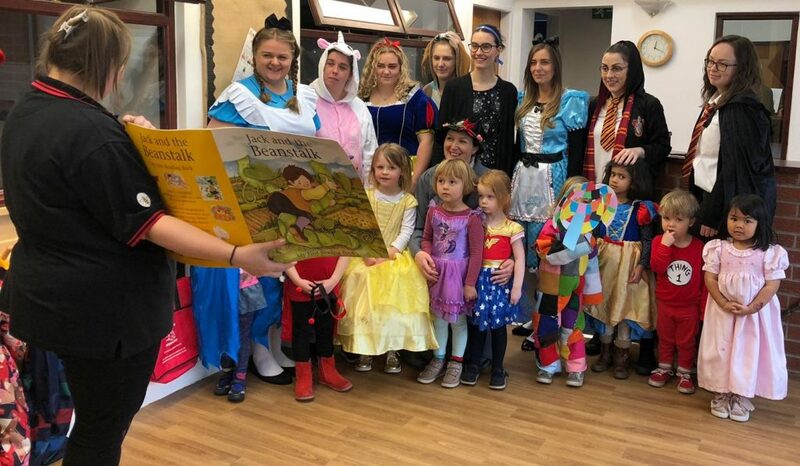 Hale Nursery, Honeybear, celebrated the 2019 World Book Day. The children, Early Years Teachers and Professionals and the Nursery Nurses all dressed up as a character from one of their favourite books. World Book Day is a celebration of authors, illustrators, books and (most importantly) it’s a celebration of reading. In fact, it’s the biggest celebration of its kind, designated by UNESCO as a worldwide celebration of books and reading, and marked in over 100 countries all over the world. The team at the Hale Nursery celebrated by reading lots of stories to the children throughout the day, as well as chatting about the children’s favourite books.